Photograph, Portrait of Felix Tijerina. Courtesy of Houston Digital Library. Image available on the Internet and included in accordance with Title 17 U.S.C. Section 107. 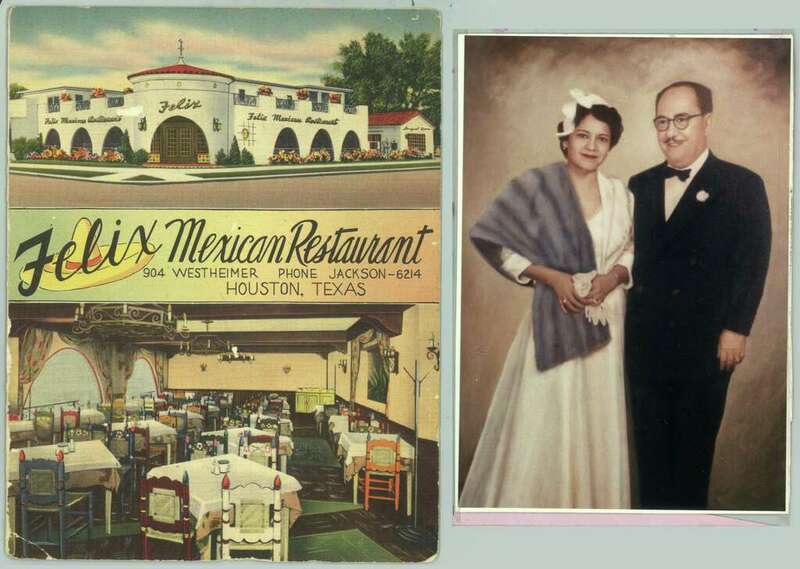 Photograph, Picture of the exterior and interior of Felix Mexican Restaurant (left) and portrait of Felix and his wife, Juanita (right). Image available on the Internet and included in accordance with Title 17 U.S.C. Section 107. Photograph, Picture of Felix Tijerina sampling the chili gravy. Courtesy of Houston Press. Image available on the Internet and included in accordance with Title 17 U.S.C. Section 107. TIJERINA, FELIX (1905–1965). Felix Tijerina, restaurateur, civic leader, and philanthropist, was born in Sugar Land, Texas, in 1905, one of four children of Rafael and Dionicia Tijerina, who were migrant farmworkers. Rafael Tijerina died when his son was eight, and Felix spent the next five years working in the South Texas cottonfields to support his mother and three sisters. At age thirteen he moved to Houston, where he found a job as a busboy at the Original Mexican Restaurant for nine dollars a week. He remained there for the next several years, learned the trade, and worked in various capacities. In 1928 he opened his first restaurant, the Mexican Inn, on Main Street, which he operated with Antonio Reynaga. In 1933 Tijerina married Juanita (Janie) González, and the couple shared their home with his mother and three sisters. The restaurant went out of business in 1935. For the next two years the Tijerinas earned their income in sales work; in 1937 they opened Felix's Mexican Restaurant, on Westheimer. By the early 1950s they owned and operated four restaurants in Houston and the surrounding area. Tijerina was one of the founders of the Latin American Club of Harris County, which registered Mexican-American voters and tried to educate their community on political rights and responsibilities. In 1935 LAC merged with the local chapter of the League of United Latin American Citizens to form LULAC Council 60, one of the largest and most active LULAC chapters in the state. Tijerina served as both vice president and president of the Houston chapter and later as regional governor. He was also elected president of the national organization for four terms, from 1956 to 1960. Photograph, Portrait of Felix Tijerina and his children. Courtesy of Houston Area Digital Archives. Image available on the Internet and included in accordance with Title 17 U.S.C. Section 107. Nespaper article about the Little Schools of the 400 Project gaining popularity. Image available on the Internet and included in accordance with Title 17 U.S.C. Section 107. Photograph, Picture of children participating in the Little Schools of the 400 Project. Courtesy of Houston Digital Library. Image available on the Internet and included in accordance with Title 17 U.S.C. Section 107. Under his leadership LULAC sponsored the Little Schools of the 400, a preschool instruction program that later became the model for the federal Head Start program. Concerned about the high failure and dropout rates among Spanish-speaking children in elementary schools, Tijerina studied the problem and concluded that the lack of English skills prevented the children from passing and ultimately forced them to drop out of school. If they were taught English before they entered the first grade, however, their chances for succeeding would improve. Tijerina met with state leaders, including Governor Price Daniel, to discuss the problem. A pilot educational program was proposed but not funded. LULAC also failed to come up with the money, and Tijerina provided it. The pilot educational program was established during the summer of 1957 in Ganado, Texas. A local seventeen-year-old student, Isabel Verver, volunteered to teach the children, and Tijerina paid her twenty-five dollars a week. Elizabeth Burrus, a teacher from Baytown, designed the curriculum. Classes were held for a few hours every day for three months. The children were taught 400 simple, basic English words. They were also introduced to the cultural traditions of schools, which later helped them adjust to their new environment. All the children in the pilot program successfully passed the first grade; before this, up to eighty percent of Spanish-speaking children failed their first year. The next summer the program was expanded to nine cities, and by this date LULAC had assumed responsibility for coordinating the program through the LULAC Educational Fund. Impressed by the program's success, Governor Daniel appointed Tijerina to the twenty-four-member Hale-Aiken Committee, which made recommendations on revising the state's education laws. The committee recommended the adoption of the Little Schools project, and in May 1959 the legislature passed a bill that established a state-financed preschool instruction program for Hispanic children. State funding was to be used solely for education, not promotion, so LULAC assumed responsibility for publicizing the program. With some corporate funding, the organization published posters and leaflets to circulate around the state, and advertised in newspapers and on radio and television. They enlisted the aid of the Boy Scouts in distributing informational material. LULAC also hired supervisors throughout the state to estimate the number of eligible children in a district and to work with school superintendents to set up programs and apply for state funds. By June 1, 1960, 614 schools were teaching 15,805 Spanish-speaking children. The program continued to grow in importance until the mid-1960s, when federal programs superseded it. 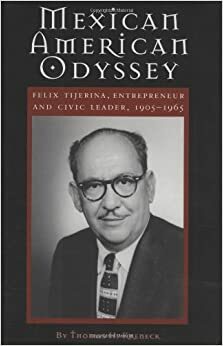 Book cover for Mexican American Odyssey: Felix Tijerina, Entrepreneur & Civic Leader, 1905-1965 by Thomas H. Kreneck. Image available on the Internet and included in accordance with Title 17 U.S.C. Section 107. Photograph, Picture of the front of Tijerina's restaurant. Image available on the Internet and included in accordance with Title 17 U.S.C. Section 107. In 1954 Tijerina traveled to Mexico to persuade Mexican film star Cantinflas to appear at a Houston benefit; on his return immigration authorities arrested him for not having the proper documentation. The arrest came at a time when he was being considered to serve on the Houston Grand Jury. Tijerina filed a lawsuit for declaratory judgment that he was a native-born citizen of the United States, and in 1956 United States district judge Joe Ingraham ruled in his favor. Tijerina served as a mess sergeant at Ellington Air Force Base (see ELLINGTON FIELD) during World War II. He was an officer and director of Security Savings Association and a director of the Central National Bank. He served as president of the Club Cultural Recreativo México Bello, and was a member of the Houston Rotary, Optimist, and Variety clubs. For seven years he served as chairman of the Latin-American citizens' committee to study juvenile delinquency. In 1962 the Mexican government awarded him a gold medal for his Little Schools program. At the time of his death he was chairman of the Houston Housing Authority. Tijerina died at his home in Houston on September 4, 1965, of heart disease. He was survived by his wife and their two adopted children. He owned seven restaurants in Houston, Pasadena, and Beaumont. When asked for advice on how to succeed in the United States, his usual response was: "Work hard, help yourself, help others, be a good citizen, take an active part in community affairs, and attend a church of your choice regularly." A Tijerina Foundation Scholarship was established in his memory. Club Cultural Recreativo México Bello Collection, Houston Metropolitan Research Collection, Houston Public Library. Houston Post, September 5, 1965. The League of United Latin American Citizens: Golden Years, 1929–1979 (n.p. : LULAC, n.d). Guadalupe San Miguel, Jr., "Let All of Them Take Heed": Mexican Americans and the Campaign for Educational Equality in Texas (Austin: University of Texas Press, 1987). Felix Tijerina Collection, Houston Metropolitan Research Center, Houston Public Library. Vertical Files, Dolph Briscoe Center for American History, University of Texas at Austin. Handbook of Texas Online, María-Cristina García, "TIJERINA, FELIX," accessed April 19, 2019, http://www.tshaonline.org/handbook/online/articles/fti08. Uploaded on June 15, 2010. Modified on February 16, 2017. Published by the Texas State Historical Association.